1, In part, it is the sleek and high-end design of the package, and it’s an all-inclusive package (pump/bottle/cap). In addition, an airless package can handle very viscous products compared to a conventional pump, and no air gets back into the package. Therefore, it’s ideal for products that discolor with air (vitamin C, for example) or for products formulated with fewer preservatives, and it allows more complete product usage, with less bulk residual left in the package compared to a standard bottle. 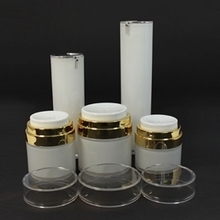 There is also the cleanliness and product efficacy aspect, as compared to a tube or, especially, to a jar where product is exposed several times during usage to air, fingers, etc. 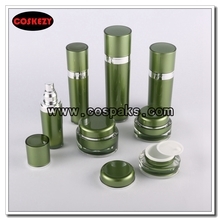 In airless packaging, product is delivered fresh with each application. Previously, high [viscosity] products were usually packaged in tubes or jars; now, airless systems provide marketers more packaging options. 2, The pumps evacuate 99% of the product, which is great for the consumer. And because they are beautiful and less messy, there is a larger perceived value, since they look so much larger in size than dispensing pumps and bottles. 3, Airless technology allows formulations to maintain integrity longer, as they are not exposed to air or contaminants with every use. This allows new formulations that contain less [amounts of] preservatives to be brought to market and expansion of product lines. 4, Airless dispensers meet the needs of consumers by providing a superior product experience over traditional packaging. Airless dispensers offer product protection from air, provide precise and repeatable dosing, and allow consumers to get the most product from the packaging by dispensing nearly all of the contents—a notable contrast to tubes and bottles with dip tube pumps. Are there limitations to the kinds of formulas or product types that can be dispensed with airless packaging? 1, Testing should be the first step in the development of every project. 2, There are a few limitations to what can be dispensed with an airless systems, such as scrubs and oil. There are also some liquids that may be used but should go through stringent testing beforehand. 3, Airless dispensers are well-suited for medium viscosity formulas. This allows marketers to sell a more concentrated formula, giving consumers a better product and using less packaging. 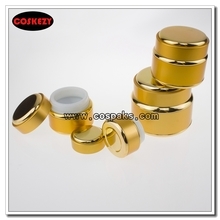 Welcome to our website and know our products and service.